Pearls add a touch of tradition to this lace anniversary square. 20 sts x 28 rows = 4” (10 cm) in Pattern Stitch. 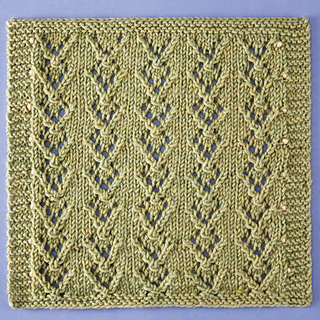 For additional help with this block visit: Cascade Yarns® Block 8 project page.